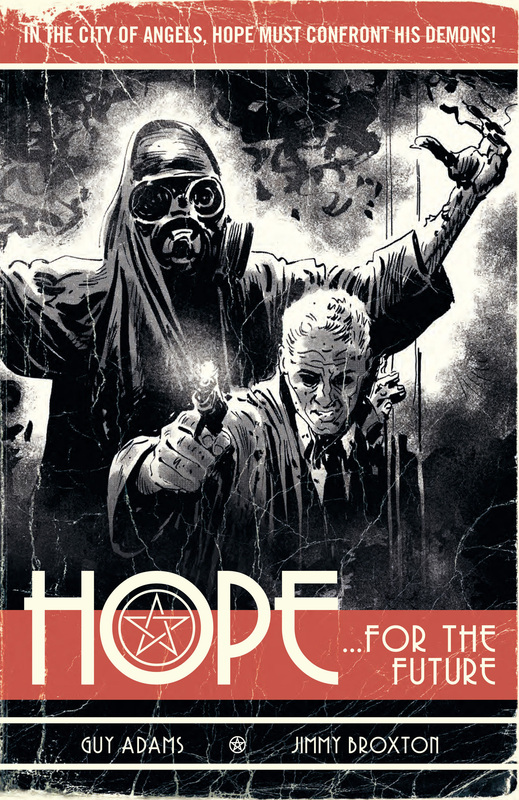 Out this week from the pages of 2000 AD – combining magic, detective work and demons – the collected edition of Hope – check it out! In an alternate post-war 1940s Los Angeles, where occult forces are a fact of life, Mallory Hope is a private detective haunted by his past… and by the demon he works with. When a new case involving a missing boy reminds him of his own lost child, Hope is determined to find him. But he soon discovers all is not what it seems, with dark powers lurking behind the lights of Hollywood… A gritty detective tale from Guy Adams and Jimmy Broxton that blends classic Hollywood noir with the occult!